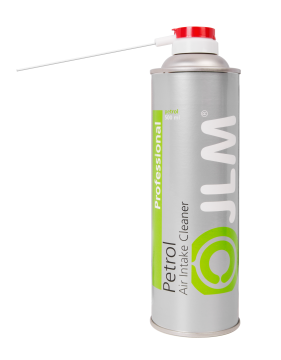 The JLM Petrol Air Intake & EGR Cleaner PRO is a true quality product based on high power solvents to clean parts of the petrol fuel system. It efficiently removes contaminations such as carbon and grease deposits, resin, gum, oxidation, oil, adhesive residues, etc. on parts such as inlet valves, actuators, EGR-valves, injectors, idling motors, throttle valves, air mass meters, etc. JLM Petrol Air Intake & EGR Cleaner Pro (J03140) cleans and protects components in the intake system such as the intake manifold, the EGR valve and intake valves, which are affected by exhaust gas recirculation in the form of soot and other deposits and put an end to irregular idling and cutting out.